Filing a civil suit against someone is an effective way of getting money that is owed to you. 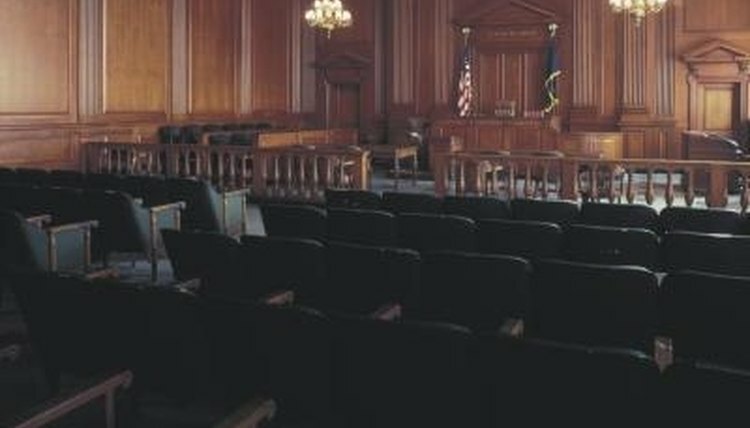 Many people overlook the civil court systems or use them as a last resort. However, if you have a strong case, civil court can be your best option and should be used promptly. The court systems can seem confusing to most individuals. Delaying civil action is common, as most plantifs aren't familiar with the process. Determine the appropriate court for your complaint. For instance, family-related matters will go to a family court, while matters dealing with smaller amounts of money will go to the small claims court. Acquire a petition form from the appropriate court and fill it out completely. The form will ask for some basic information about you, your claim and the person you are suing. File your suit with the civil court. You will be required to pay a small filing fee when you file your claim. Make several copies of all your documentation. You will need at least three copies of each document. Mail copies of your documentation to the defendant via certified mail. This way you will have proof that they did indeed receive the paperwork before the trial. Show up to your court date on time with all the necessary paperwork and witnesses to prove your case. The judge will explain what will happen before you go into court. Contributor. "How to To Take Someone To Civil Court." , https://legalbeagle.com/5699298-someone-civil-court.html. Accessed 18 April 2019.